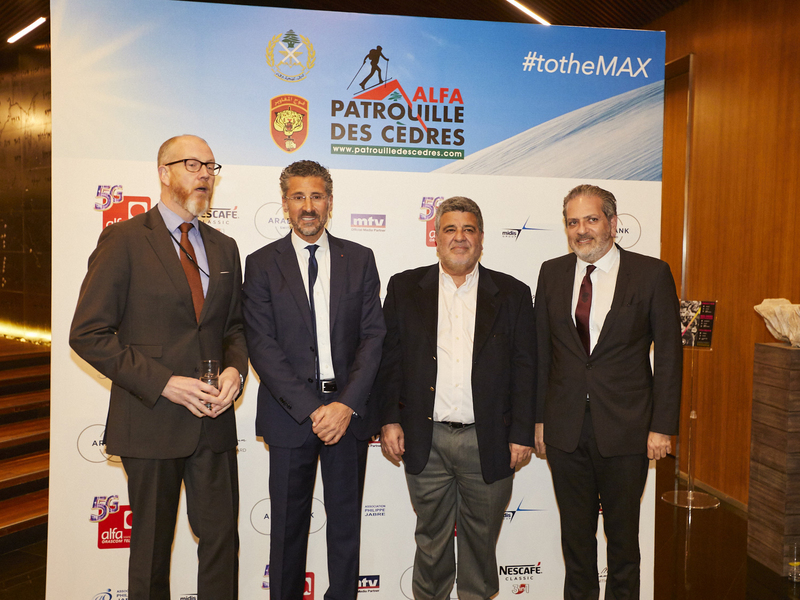 In line with its mission to support Sports Excellence in Lebanon, the administration of the MNC Recognition Award have partnered with the Patrouille des Cèdres - a backcountry ski race linking two Lebanese ski resorts via the summits of the Mount Lebanon range. Under the patronage of General Joseph Aoun, Commander in Chief of the Lebanese Armed Forces, this biennial international event is organized by national hero Maxime Chaya with the support of the Lebanese Army’s Ranger Regiment. Both course distances proposed to civil and military teams of two participants each start in Kfardebian, Faraya, and finish in Zaarour Club, passing though Sannine. The race is open to skiers of all age categories and embodies the philosophy behind Maxime’s favorite’s quote "There is an Everest for Everyone". Beyond physical effort and the breakthrough of self-barriers, this event aims to show the world the beauty of the ‘Switzerland of the Middle East’, his native Lebanon which he refers to as "my small country with the giant heart". For non-skiers wishing to be part of the Patrouille des Cèdres, there is a snowshoe race equivalent to a half-marathon in kilometer-effort, inside Zaarour Club. It will be managed by the capable team of the Beirut Marathon Association. Besides the passion for sports, the great outdoors and the camaraderie that inevitably forms on mountainous terrain, there is a secret corporate social responsibility (CSR) that takes this event to the next level: all proceeds from registration fees will be fully donated to the fund for the families of Lebanese Army martyrs. Like in every large event, it is the partners - as Maxime likes to call them-who make it happen. Sincere thanks to those without whom the Patrouille des Cèdres2019 wouldn't have been possible: Alfa, managed by Orascom TMT, Arab Bank (Switzerland), Nescafé, Midis Group, MTV, Association Philippe Jabre and the Maroun N. Chammas Recognition Award. Stimulating, recognizing and rewarding groundbreaking technology innovation and excellence in sports.